I am an Adjunct Professor in the ECE Dept. at Stevens now. 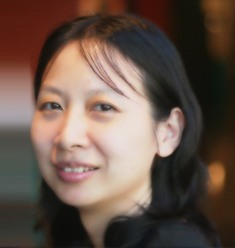 Yingying (Jennifer) Chen is a tenured Professor of Electrical and Computer Engineering at Rutgers University and the Associate Director of the Wireless Information Network Laboratory (WINLAB). She also leads the Data Analysis and Information Security Labortorary (DAISY). Her background is a combination of Computer Science, Computer Engineering and Physics. She has co-authored three books Securing Emerging Wireless Systems (Springer 2009) and Pervasive Wireless Environments: Detecting and Localizing User Spoofing (Springer 2014) and Sensing Vehicle Conditions for Detecting Driving Behaviors (Springer 2018), published over 150 journal articles and referred conference papers and obtained 8 patents. Her research has been licensed by multiple companies and reported in numerous media outlets including the Wall Street Journal, MIT Technology Review, CNN, Fox News Channel, IEEE Spectrum, Fortune, Inside Science, NPR, Tonight Show with Jay Leno and Voice of America TV. Smart Healthcare, Internet of Things (IoT), Mobile Computing and Sensing, Cyber Security and Privacy, and Connected Vehicles. She has co-authored the books Securing Emerging Wireless Systems (Springer 2009) and Pervasive Wireless Environments: Detecting and Localizing User Spoofing (Springer 2014). She published over 100 journal articles and referred conference papers. 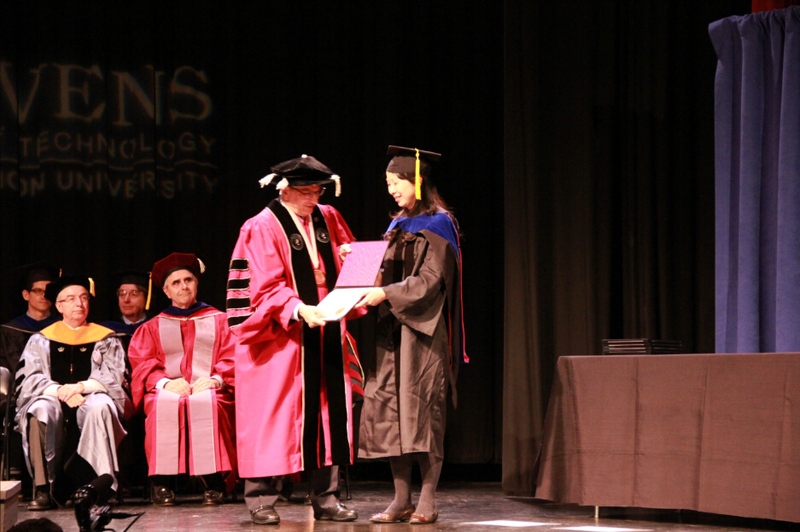 Prior to joining Stevens Institute of Technology, she was with Alcatel-Lucent at Holmdel & Murray Hill, New Jersey. Her work has involved a combination of research and development of new technologies and real systems, ranging from Network Management Systems for Lucent flagship optical and data products to voice/data integrated services. 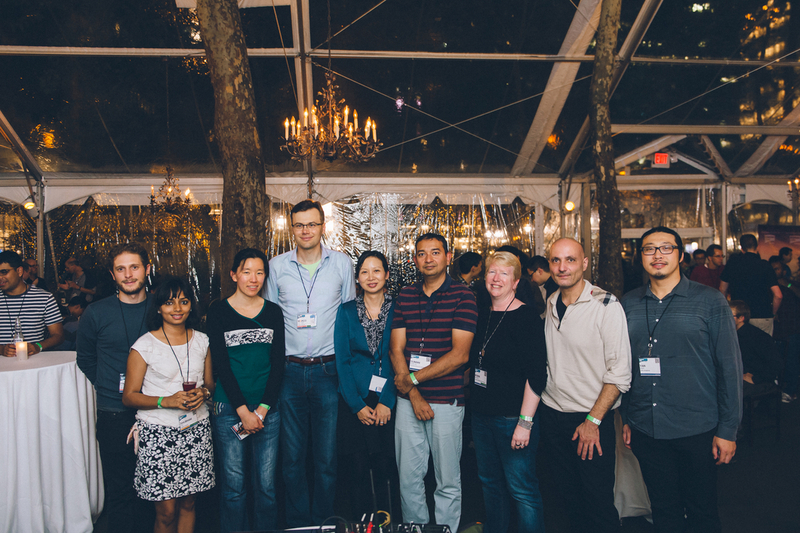 Yingying serves as the TPC Co-chair of ACM WiSec 2019 together with Aurelien Francillon. Please submit your work and join us at WiSec 2019! 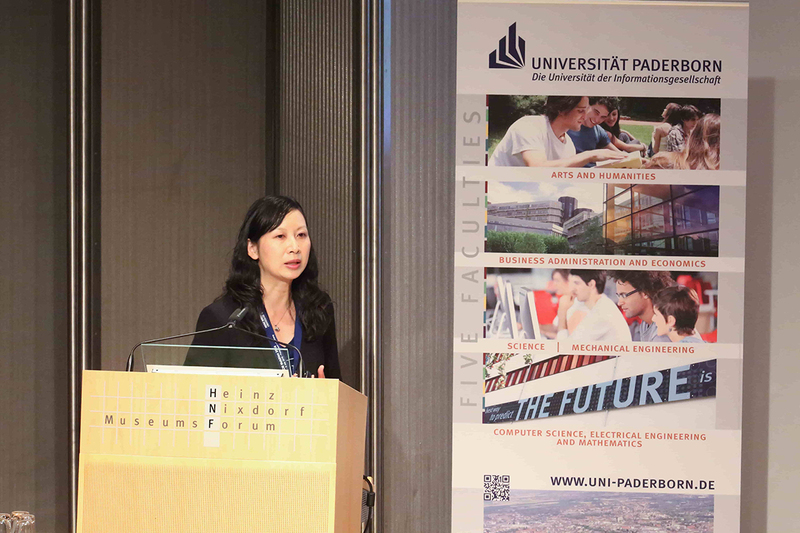 Yingying serves as the General Co-chair of IEEE DySPAN 2019 together with Wade Trappe. Please submit your work and join us at DySPAN 2019! [October 2018] Yingying provides comments on "2018's States Most Vulnerable to Identity Theft & Fraud" for WalletHub.com, which is one of the leading outlets covering the personal finance industry. 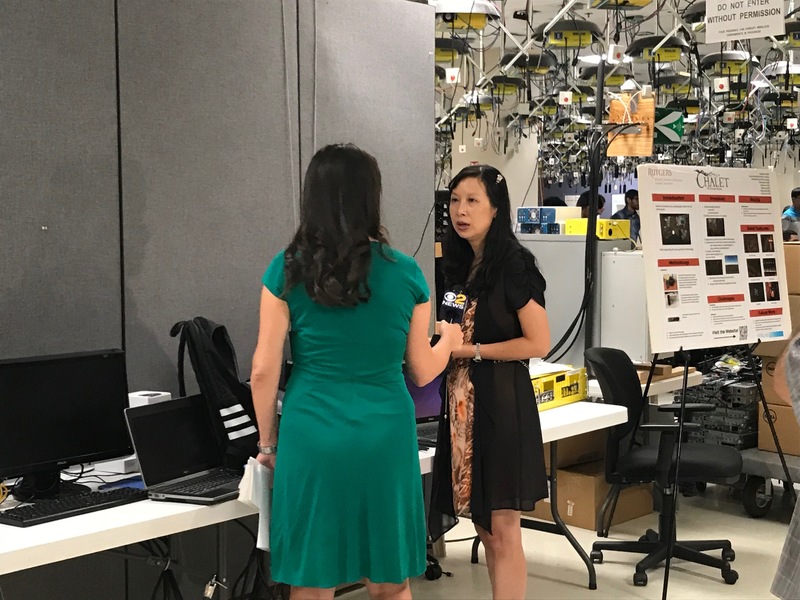 [August 2018] CBS TV has interviewed Yingying and her team on their work on "In-baggage Suspicious Object Detection Using Commodity WiFi". . The CBS news is here. 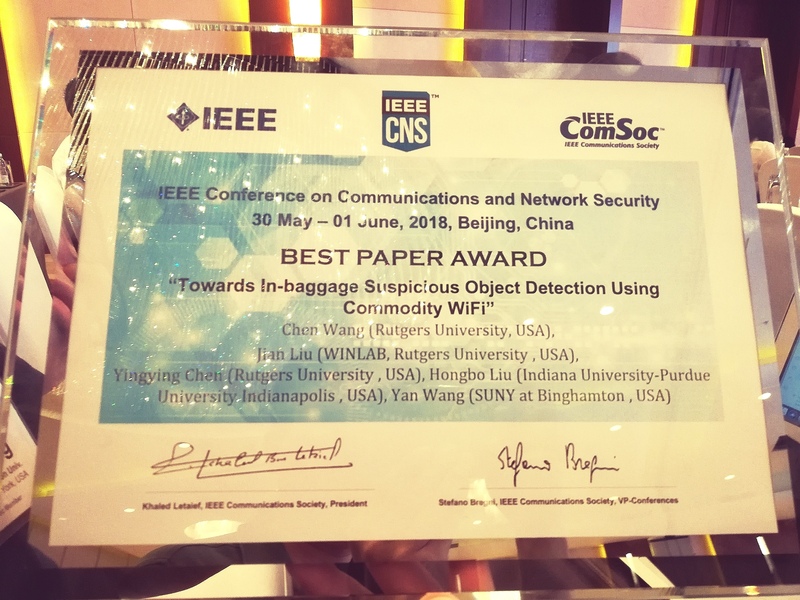 [August 2018] Our work on "In-baggage Suspicious Object Detection Using Commodity WiFi" has been reported in Rutgers News: "Common WiFi Can Detect Weapons, Bombs and Chemicals in Bags" and over 50 media outlets, e.g., BBC News, NBC New York, Philadelphia Inquirer, and Yahoo News. [July 2018] NSF awarded Yingying's research project on "Security Assurance in Short Range Communication with Wireless Channel Obfuscation". [July 2018] NSF awarded Salim and Yingying's research project on "Medium: Secure Distributed Coded Computations for IoT: An Information Theoretic and Network Approach". 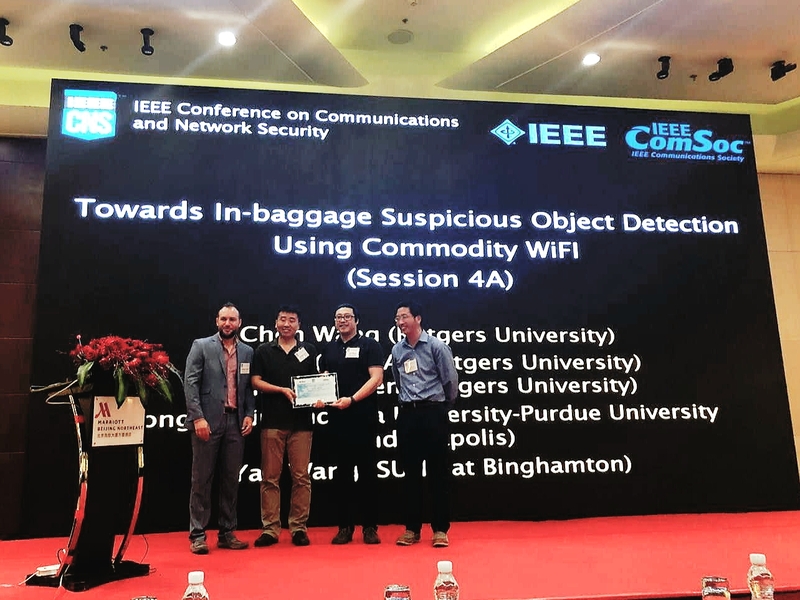 [May 2018] Our paper "Towards In-baggage Suspicious Object Detection Using Commodity WiFi" has received the Best Paper Award in the IEEE International Communications and Network Security (CNS 2018). .
[April 2018] Yingying serves as the TPC Co-chair of ACM MobiCom 2018. [April 2018] ARO awarded Yingying's research project on "Enhanced Learning of Sensor Fusion for Human Authentication". [December 2017] Our work on Abnormal Driving Behaviors Detection and Identification with Smartphones has been featured in IEEE Xplore Innovation Spotlight. 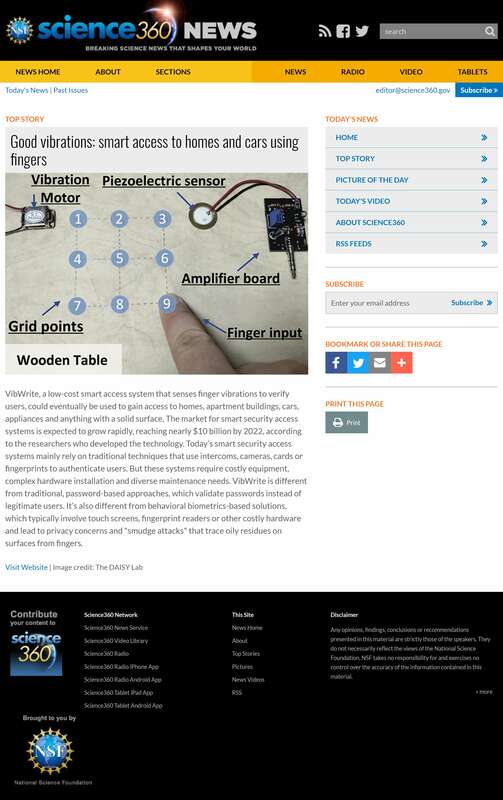 [November 2017] National Science Foundation has showcased our work on "Finger-input Authentication via Physical Vibration" as top story on NSF Science 360 News. .
[October 2017] Our work on "Finger-input Authentication via Physical Vibration" has been reported in Rutgers News: "Good Vibrations: Smart Access to Homes and Cars Using Fingers" and over 30 media outlets, e.g., IEEE Spectrum, Yahoo Finance News, NSF Science 360 News, and Futurity. [August 2017] NSF awarded Yingying's research project on "Exploiting Physical Properties in Wireless Networks for Implicit Authentication". [August 2017] Yingying received 2017 IEEE Region 1 Technological Innovation in Academic Award. [August 2017] DAISY lab got one paper accepted by ACM CCS'17. 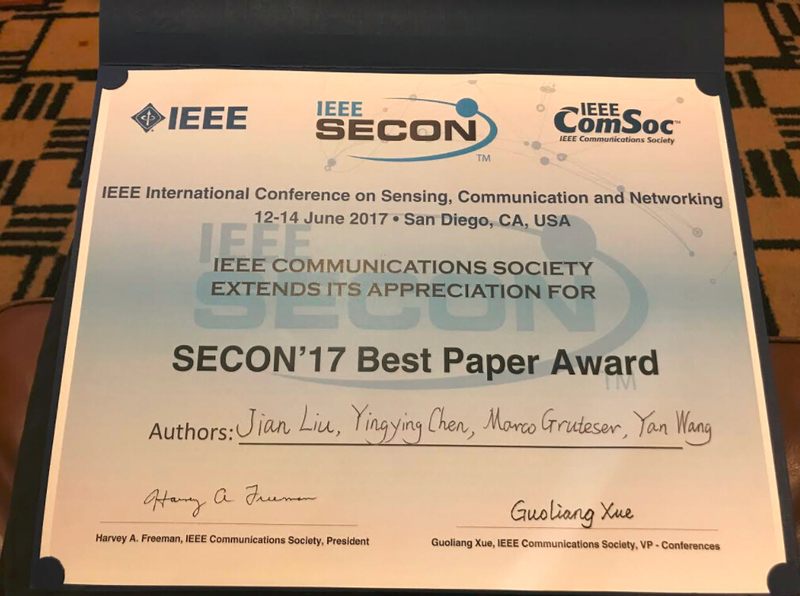 [June 2017] Our paper "VibSense: Sensing Touches on Ubiquitous Surfaces through Vibration" has received the Best Paper Award in the IEEE International Conference on Sensing, Communication and Networking (SECON 2017) [pdf]. .
[May 2017] Yingying received Henry Morton Distinguished Teaching Professor Award (Stevens President Dr. Nariman Farvardin presented the award to Yingying at the Ph.D. Hooding Ceremony). .
[May 2017] Congratulations to Dr. Xiaonan Guo, who has joined Indiana University-Purdue University Indianapolis, as a tenure-track Assistant Professor. [April 2017] Yingying gives a tutorial on IoT security at IEEE 5G Learning Series - New Jersey Edition. [March 2017] Yingying received a DURIP award 2017 on "Infrastructure for Securing Dynamic Tactical MANETs Research and Education" from ARO. [January 2017] Guest Editor on IEEE Communications Magazine Special Issue: Behavior Recognition Based on Wi-Fi Channel State Information (CSI). [November 2016] San Francisco Chronicle interviewed Yingying about possible security vulnerabilities through home devices with microphones. 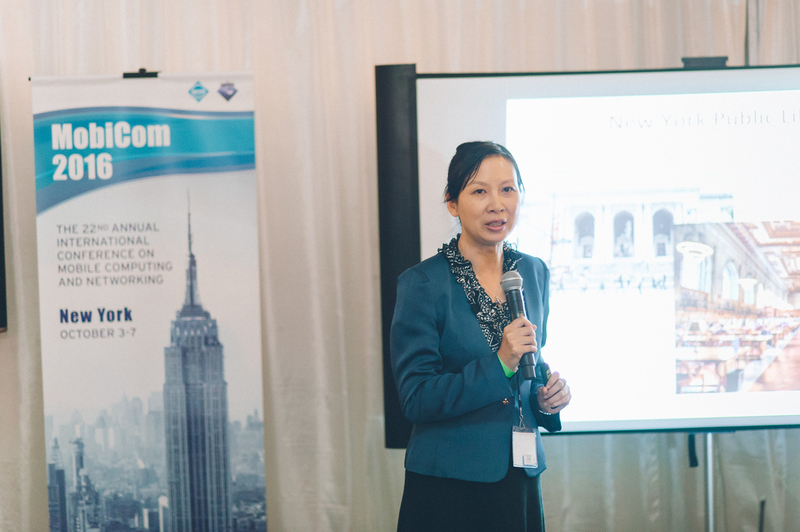 [October 2016] ACM MobiCom 2016 has been successfully held in NYC, and Yingying is the General Co-chair. .
[October 2016] IEEE CNS 2016 has been successfully held in Philadelphia, and Yingying is the TPC Co-chair. .
[September 2016] National Science Foundation has showcased our work on "Cracking the PIN Number Using Wearables" on NSF facebook and podcast NSF Science 360 Radio. .
[September 2016] CNN has interviewed Yingying and her team on their work on "Your Wearable Devices Reveal Your Personal PIN". .
[July 2016] Our work on "Wearable Devices Revealing Your Personal PIN" has received the Best Paper Award at AsiaCCS 2016. Here are the Stevens News Release, conference paper, and presentation slides. This work has been reported by over 60 media outlets, e.g., FORTUNE, PHYS, IEEE Spectrum and live interview with Top of Mind with Julie Rose on BYU Radio. 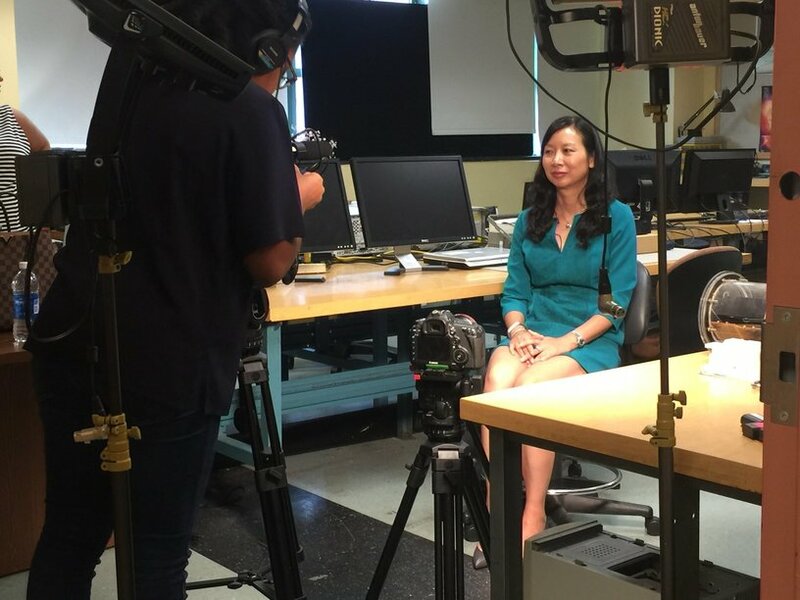 [July 2016] Yingying has led "IoT: Internet of Things or Internet of Dreams?" 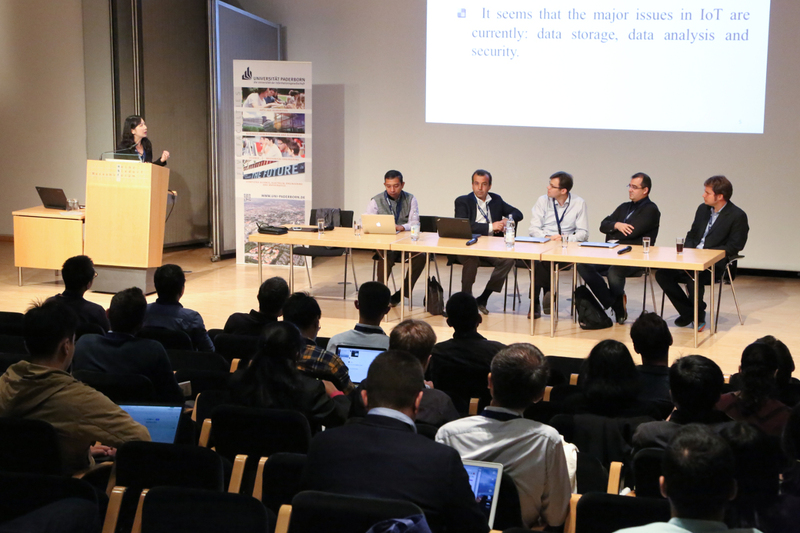 panel at ACM MobiHoc 2016 in Paderborn, Germany. .
[June 2016] Our paper of "Friend or Foe? Your Wearable Devices Reveal Your Personal PIN" has received the Best Paper Award in the ACM Symposium on Information, Computer and Communications Security (ASIACCS 2016) [pdf], [Presentation Slides]. .
Best Paper Award, IEEE International Communications and Network Security (CNS), 2018. 2017 IEEE Region 1 Technological Innovation in Academic Award. - For research accomplishments and leadership in localization, mobile security and privacy, pervasive computing and mobile healthcare. Best Paper Award, IEEE International Conference on Sensing, Communication and Networking (SECON), 2017. Henry Morton Distinguished Teaching Professor Award, Stevens Institute of Technology, 2017. 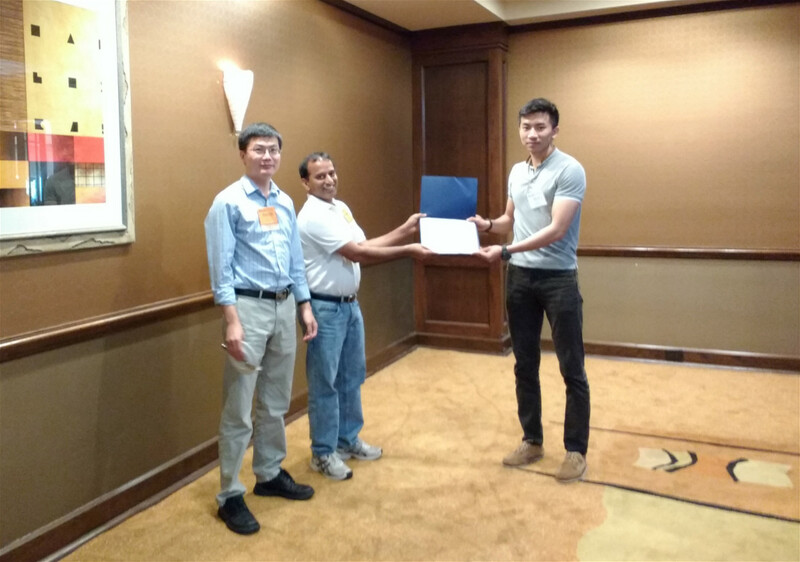 Best Paper Award, ACM Symposium on Information, Computer and Communications Security (ASIACCS), 2016. 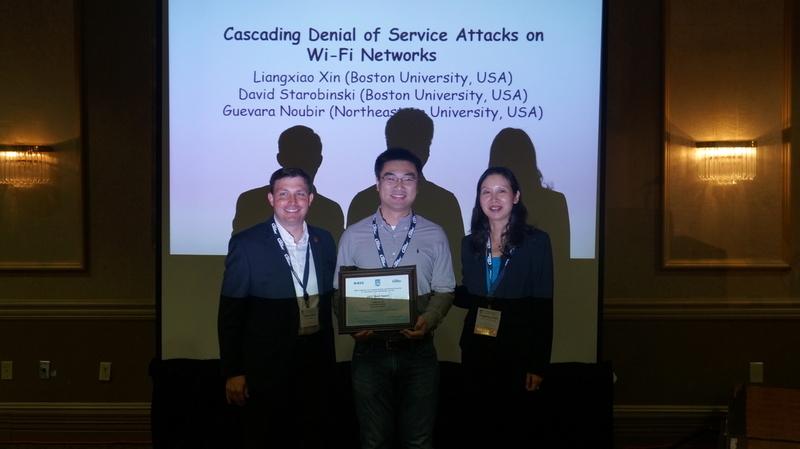 Best Paper Award, IEEE Conference on Communications and Network Security (IEEE CNS), 2014. 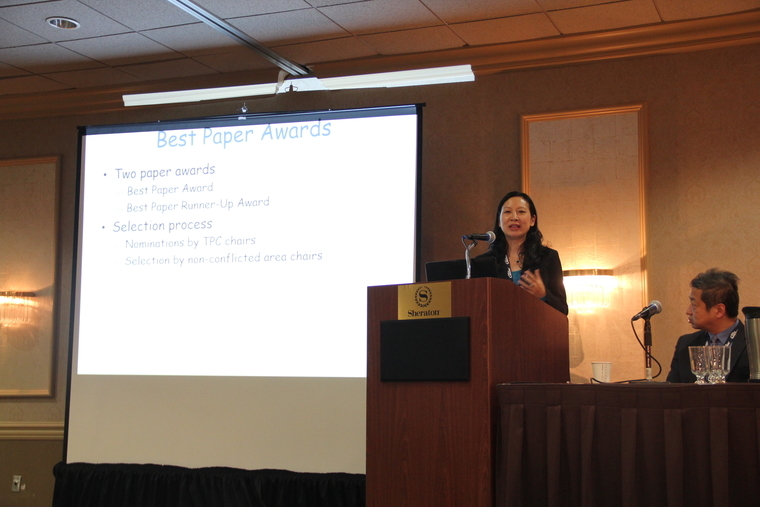 Best Paper Runner-Up, IEEE Conference on Communications and Network Security (IEEE CNS), 2013. Winner of ACM MobiCom Student Research Competition, 2013. Spotlight Paper of the September 2012 issue of the IEEE Transactions on Mobile Computing, 2012. [NSF] Security Assurance in Short Range Communication with Wireless Channel Obfuscation, PI, 2018 - 2019. [NSF] Medium: Secure Distributed Coded Computations for IoT: An Information Theoretic and Network Approach, Co-PI, 2018 - 2022. [ARO] Enhanced Learning of Sensor Fusion for Human Authentication, PI, 2018 - 2021. [NSF-NeTS] Exploiting Physical Properties in Wireless Networks for Implicit Authentication, PI, 2017 - 2020. [ARO] Infrastructure for Securing Dynamic Tactical MANETs Research and Education, PI, 2017. [NSF-NeTS] Medium: Exploiting Fine-grained WiFi Signals for Wellbeing Monitoring, PI, 2015 - 2019. [NSF-CSR] Medium: Guardian Angel-Enabling Mobile Safety Systems, PI, 2014 - 2017. [NSF-SaTC] Towards Understanding Smartphone User Privacy: Implication, Derivation, and Protection, PI, 2014 - 2016. [NSF-NeTS] Distributed Robust Spectrum Sensing and Sharing in Cognitive Radio Networks, PI, 2013 - 2016. [ARO] Making Physical Inferences to Enhance Wireless Security, PI, 2013 - 2016. [NSF-CSR] Smartphone Enabled Social and Physical Compass System (SENSCOPS), PI, 2013 - 2016. [NSF-SaTC] CAREER: EASE: Enhancing the Security of Pervasive Wireless Networks by Exploiting Location, PI, 2010 - 2015. [NSF-CCF] MILAN: Multi-Modal Passive Intrusion Learning in Pervasive Wireless Environments, PI, 2010 - 2013. [NSF-CSR] SEMOIS: Secure Mobile Information Sharing System, PI, 2010 - 2013. [NSF-SGER] Securing Spectrum Usage in Future Radio Systems, PI, 2008 - 2011. 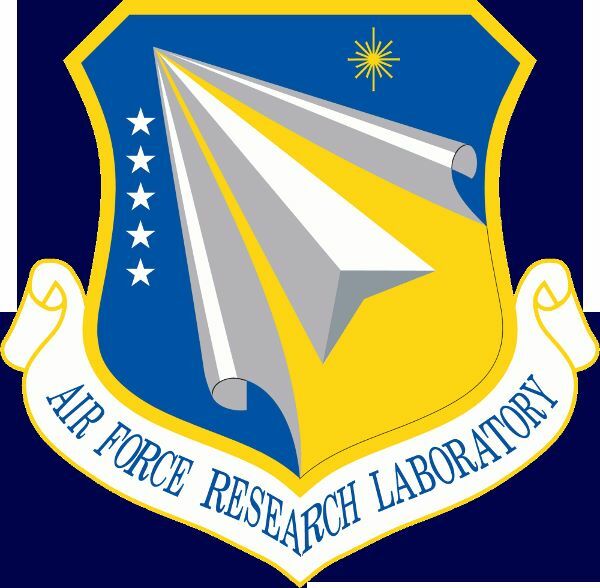 [AFRL] Attribute-based Algorithms for Assured Information Sharing (A3IS) in Clouds, PI, 2012 - 2013. 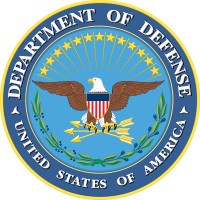 [DoD] Semantic Signal Processing for the Re-hosting of Software Defined Radio and Cognitive Radio Implementations, co-PI, 2009 - 2012. [Army ARDEC] Multi-Sensor/Multi-Robot Network for Perimeter Security and Entry Control Point Protection, co-PI, 2009 - 2010. 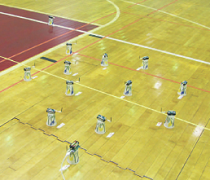 [Army ARDEC] Heterogeneous Multi-Robot Multi-Sensor Platform for Intruder Detection, co-PI, 2008 - 2009. [Army ARDEC] Cognitive & Network Centric Military Communications, co-PI, 2008 - 2009. [Army ARDEC] PHY, MAC, and NET Layer Designs in Sensor Networks, co-PI, 2007 - 2008. - Research News: Rutgers News, IEEE Spectrum, Yahoo Finance News, NSF Science 360 News, and Futurity. - Here are the presentation slides. - Prof. Yingying Chen is the lead researcher and the corresponding author of this paper. - Research News: Stevens News Release, FORTUNE, PHYS, IEEE Spectrum, and live interview with Top of Mind with Julie Rose on BYU Radio. IEEE/ACM Transactions on Networking (IEEE/ACM ToN), Volume 23, Issue 24, Pages 1688-1701, 2015. 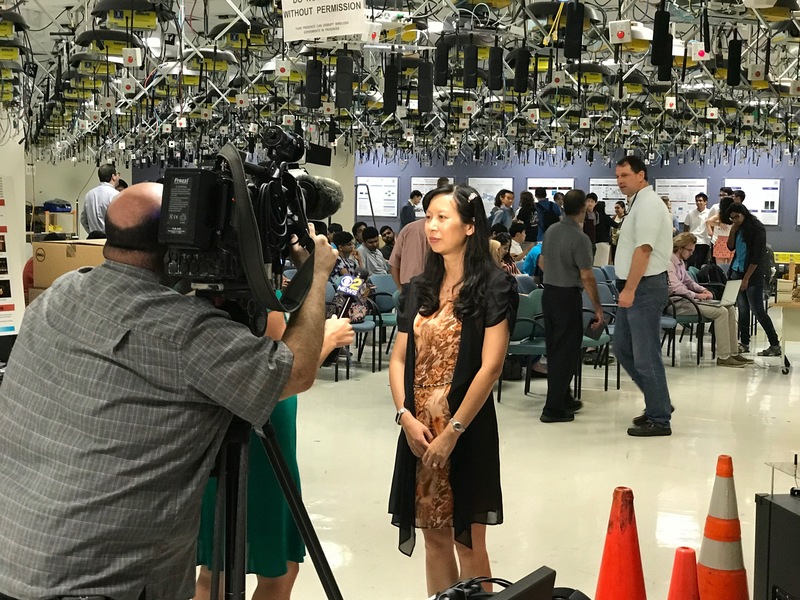 - Research News: MIT Technology Review, Fierce Mobile Healthcare, Digital Journal, Yahoo News, Mobile Health Clinic, Stevens News, Zeenews, MIT 科技评论, 网易科技, and 电子工程世界. San Fransisco, CA, Oct. 2014. Washington, D.C., USA, October 2013. - Here are the presentation slides and demo. - Best Paper Award. Here are the presentation slides. - Research News: The Wall Street Journal, MIT Technology Review, Fox News Channel, Inside Science TV, New Jersey My9, VOA-TV, Tonight Show with Jay Leno, CNet, Yahoo News, WCBS, CSDN, Sohu and Sina. VibSense: Sensing Touches on Ubiquitous Surfaces through Vibration. As the form factor of our mobile and wearable devices shrinks, there exists an increasing need to support interaction beyond the confines of the device itself. Particularly on wearable devices, small touchscreens and interfaces can render complex input cumbersome. VibSense pushes the limits of vibration-based sensing to determine the location of a touch on extended surface areas as well as identify the object touching the surface leveraging a single sensor. Unlike capacitive sensing, it does not require conductive materials and compared to audio sensing it is more robust to acoustic noise. It supports a broad array of applications through either passive or active sensing using only a single sensor. In VibSense's passive sensing, the received vibration signals are determined by the location of the touch impact. 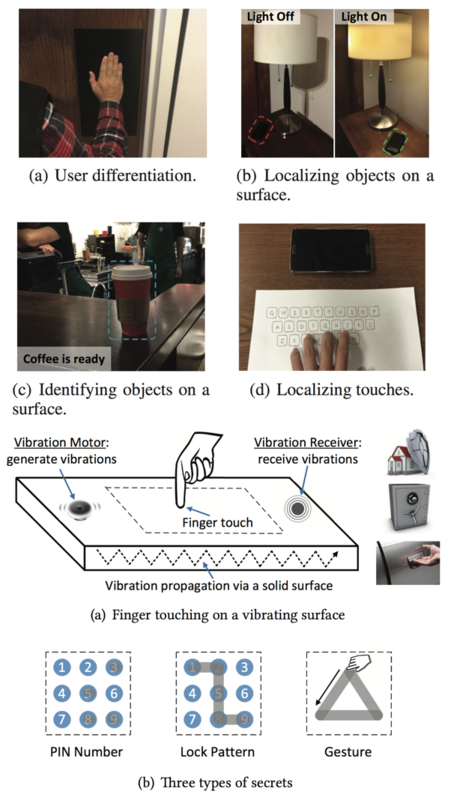 This allows location discrimination of touches precise enough to enable emerging applications such as virtual keyboards on ubiquitous surfaces for mobile devices. Moreover, in the active mode, the received vibration signals carry richer information of the touching object's characteristics (e.g., weight, size, location and material). This further enables VibSense to match the signals to the trained profiles and allows it to differentiate personal objects in contact with any surface. 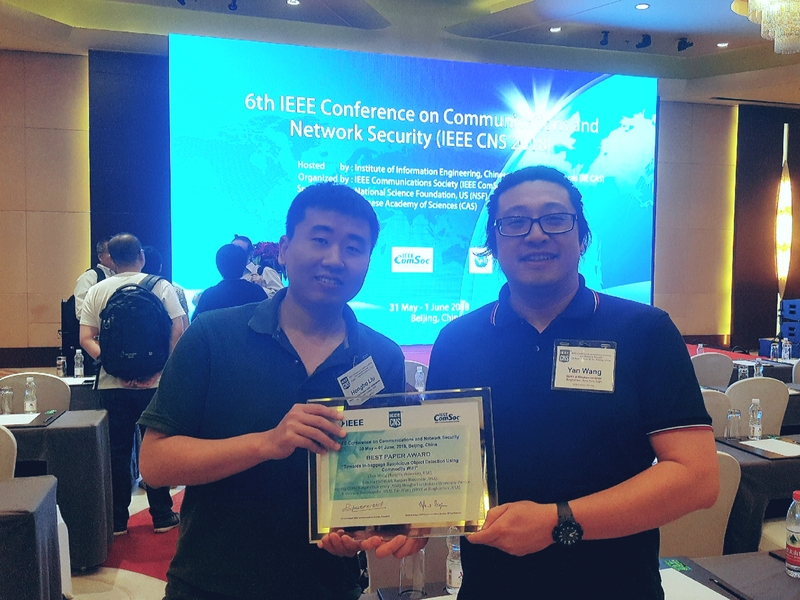 This project has received the Best Paper Award at the IEEE International Conference on Sensing, Communication and Networking (SECON) 2017. Research News: Rutgers News, IEEE Spectrum, Yahoo Finance News, NSF Science 360 News, and Futurity. Guardian Angel: Sensing Driver Phone Use to Reduce Driver Distraction & Enabling Pedestrian Safety Services. 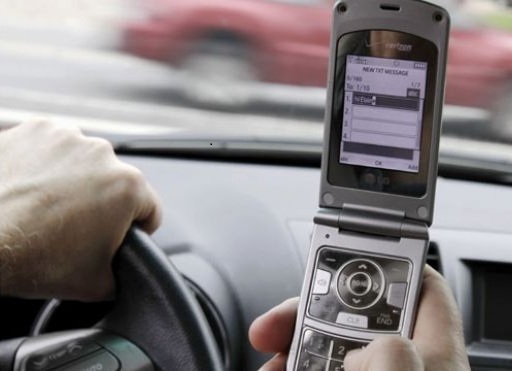 Cell phone distractions have been a factor in high-profile accidents and are associated with a large number of automobile accidents. This project addresses the fundamental problem of distinguishing between a driver and passenger using a mobile phone, which is the critical input to enable numerous safety and interface enhancements for the driver distraction problem. We are building a detection system that leverages the existing car stereo infrastructure, e.g., the speakers and Bluetooth network. Our solution seeks to address major challenges including the complex multipath environment presented in the small confided space inside a car, minimizing interference between the speakers, and any sounds emitted should be unobtrusive to minimize distraction. This project has received the Best Paper Award at the ACM International Conference on Mobile Computing and Networking (MobiCom) 2011. 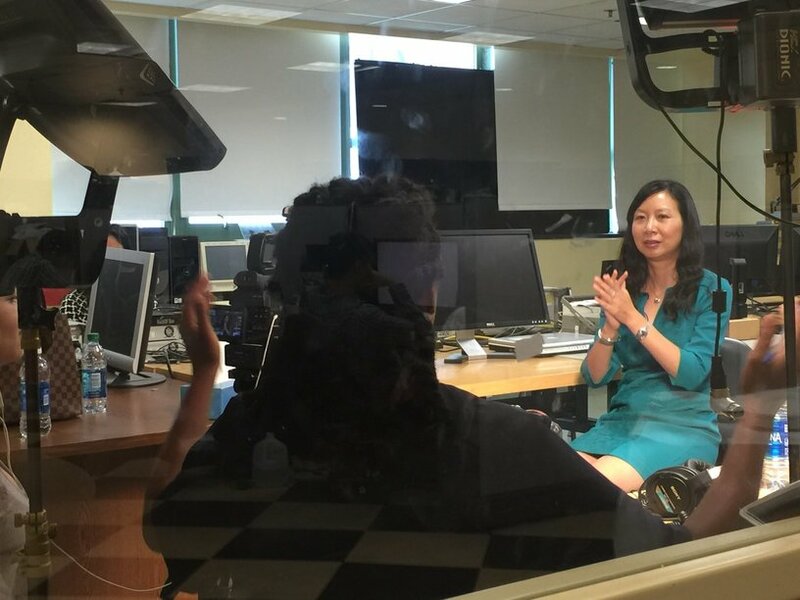 Research News: The Wall Street Journal, MIT Technology Review, VOA-TV, CNet, WCBS, Yahoo News, CSDN, Sohu, Sina, Fox News Channel and New Jersey My9. 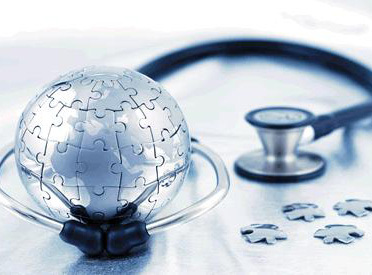 Mobile Healthcare Leveraging WiFi Network and Mobile Devices. 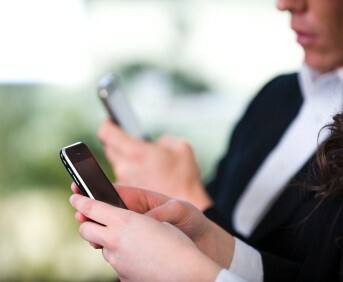 Mobile devices and WiFi have become increasingly popular and gradually woven into our social lives. Smartphones equipped with powerful embedded sensors (e.g., accelerometers, GPS, microphones, and etc.) can be used to monitor multiple dimensions of human behaviors including physical, mental and social behaviors of wellbeing. The collected sensing data can thus be comprehensive enough to be mined not only for the understanding of human behaviors or daily life activities but also for supporting a broad range of mobile healthcare applications. We are designing a smartphone based secure healthcare monitoring system which allows users to be monitored for their mental, cognitive, and physical well-being and hence facilitate early diagnosis of potential illnesses and taking possible preventive measures. The communities extracted from a mobile phone enabled social network in our system can also be exploited for securing certain components of the system (e.g., coping with clone attacks). In addition, our low-cost system leverages the Channel State Information (CSI) extracted from WiFi signals on mobile devices to monitor vital signs and perform fine-grained sleep monitoring in home environments. This project is partially funded by the National Science Foundation, PI: Yingying Chen. 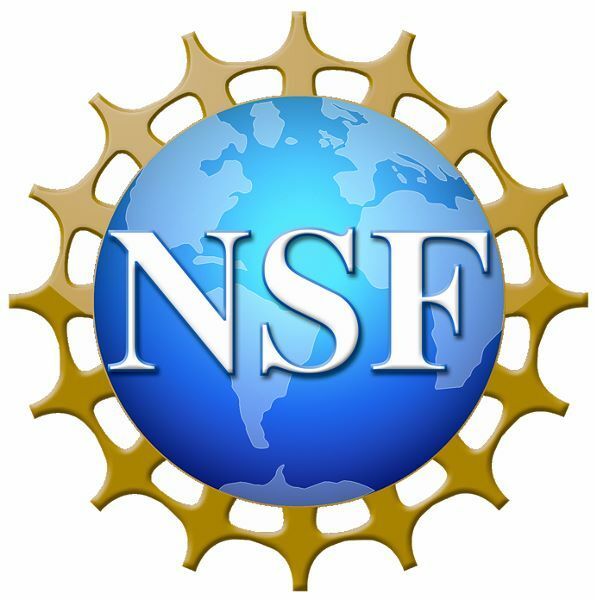 The NSF project web site is here. 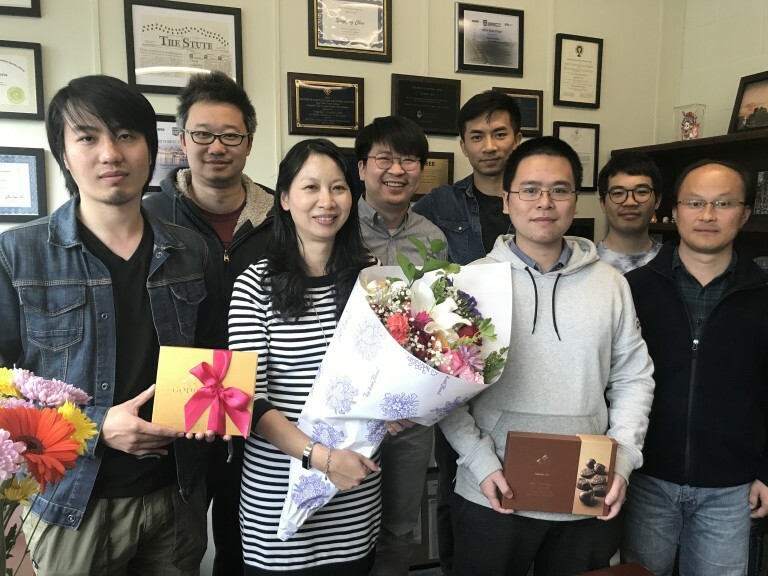 Research News: Stevens News, Mobile Healthcare Information and Management Systems Society News, Mobile Health in Stevens, Fierce Mobile Healthcare, Digital Journal, MIT Technology Review, Yahoo News, Zeenews, MIT 科技评论, 网易科技, and 电子工程世界. 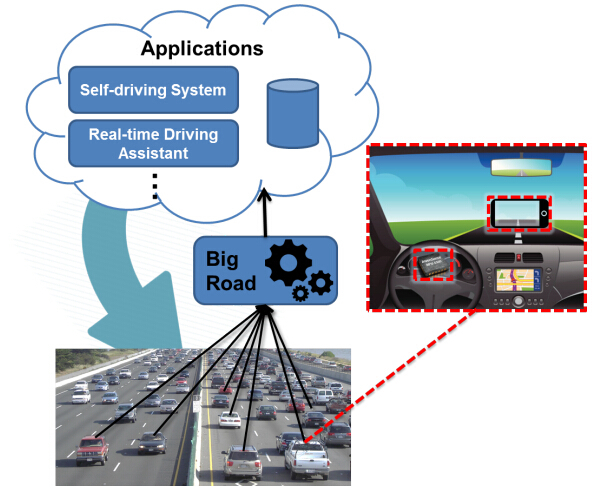 BigRoad: Scaling Road Data Acquisition for Dependable Self-Driving. Advanced driver assistance systems and, in particular automated driving offers an unprecedented opportunity to transform the safety, efficiency, and comfort of road travel. Developing such safety technologies requires an understanding of not just common highway and city traffic situations but also a plethora of widely different unusual events (e.g., object on the road way and pedestrian crossing highway, etc.). While each such event may be rare, in aggregate they represent a significant risk that technology must address to develop truly dependable automated driving and traffic safety technologies. By developing technology to scale road data acquisition to a large number of vehicles, this project introduces a low-cost yet reliable solution, BigRoad, that can derive internal driver inputs (i.e., steering wheel angles, driving speed and acceleration) and external perceptions of road environments (i.e., road conditions and front-view video) using a smartphone and an IMU mounted in a vehicle. Towards Understanding Privacy When Using Smartphone and Wearable Devices. This project focuses on addressing privacy concerns of smartphone users. In particular, it investigates how the usages of the smartphone applications (apps) may reshape users' privacy perceptions and what is the implication of such reshaping. There is only limited understanding on the consequences of user privacy losses, especially when large amount of privacy information leaked from smartphone users across many apps. We investigate how the mobile technology (i.e., smartphone and smartphone apps) can reveal users' personal information and identify the consequences of privacy violations, by taking users' social relationships into consideration. 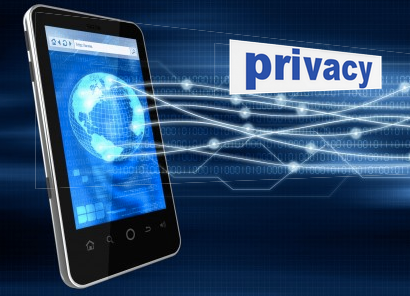 The project facilitates a deep understanding of user privacy in the age of mobile devices and further develops appropriate protective mechanisms. Smartphone user privacy across different levels are analyzed including individual, social and community relationships based on different levels of information leakage. Statistical models, such as Bayesian networks and hidden Markov models, are developed to understand users' temporal privacy leakage patterns based on experimental study. 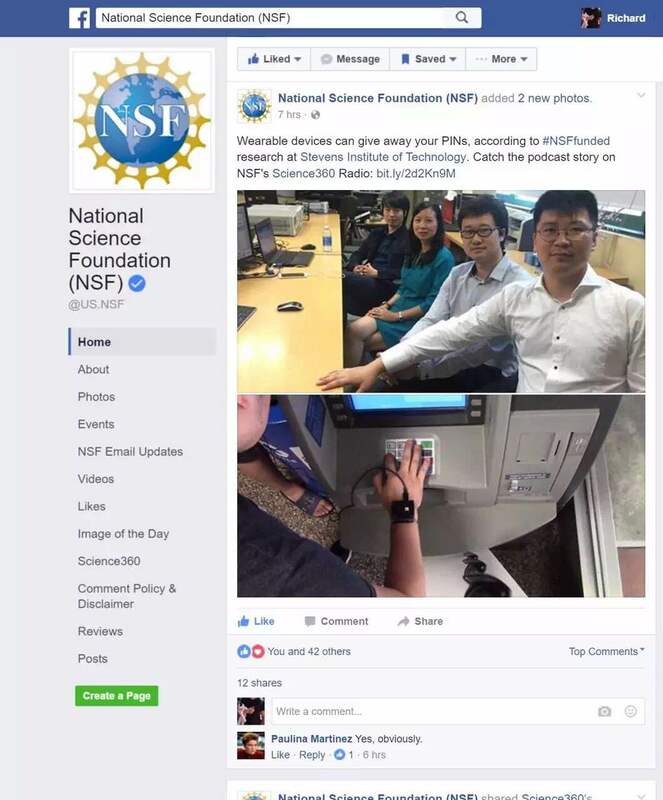 This project is funded by the National Science Foundation, PI: Yingying Chen. 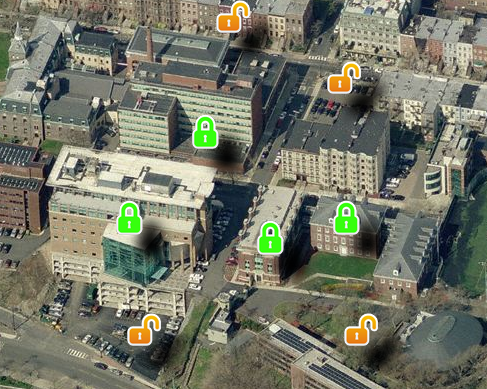 Exploiting Location as a New Dimension to Assist Wireless Security. As the increasingly pervasive wireless networks make it even easier to conduct attacks for new and rapidly evolving adversaries, the ubiquity of wireless is redefining security challenges. Thus, there is an urgent need to seek security solutions that can defend against attacks across the current heterogeneous mixes of wireless technologies. Location will be the cornerstone of new wireless services as future wireless services will support the access to resources and information from anywhere at anytime, implying that people will request services and information at different locations and at different times. In this project, we exploit location as a powerful information source to assist cryptographic-based methods to solve fundamental security problems such as detecting identity-based attacks and providing location-aware secure access of network resources. 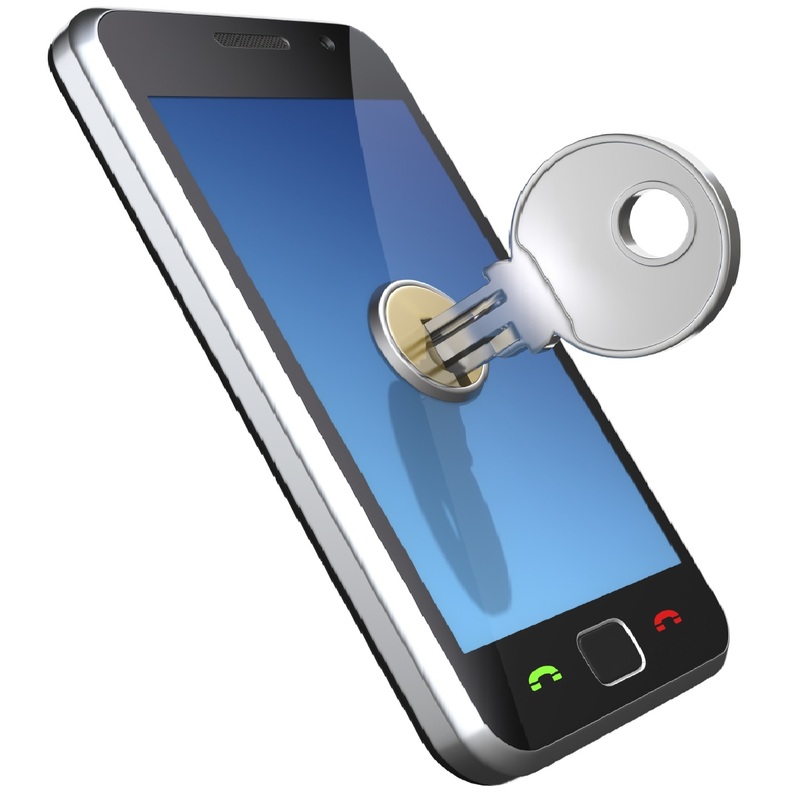 Utilizing Physical Layer Properties for Secret Key Extraction in Mobile Environments. Information sharing and various data transactions on wireless devices have become an inseparable part of our daily lives. However, securing wireless communication remains challenging in dynamic mobile environments due to the shared nature of wireless medium and lacking of fixed key management infrastructures. Generating secret keys using physical layer information thus has drawn much attention to complement traditional cryptographic-based methods. This project is designing schemes of secret key generation among wireless devices using physical layer information of radio channel such as the Received Signal Strength (RSS) and the Channel State Information (CSI). We currently are focusing on exploring the fine-grained physical layer information (i.e., CSI) from multiple subcarriers of Orthogonal Frequency-Division Multiplexing (OFDM) to achieve higher secret bit generation rate and make the secret key extraction approaches (based on physical-layer characteristics) more practical. This project is partially supported Army Research Office, PI: Yingying Chen. Building Self-Healing Smart Grid Under Jamming. 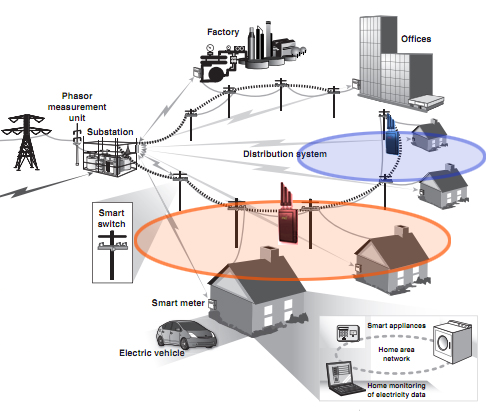 A key component of a smart grid is its ability to collect useful information from a power grid for enabling control centers to estimate the current states of the power grid. Such information can be delivered to the control centers via wireless or wired networks. We envision that wireless technology will be widely used for local-area communication subsystems in the smart grid (e.g., in distribution networks). However, various attacks with drastic impacts can be launched in wireless networks such as channel jamming attacks and DoS attacks. In particular, jamming attacks can cause a wide range of damages to power grids, e.g., delayed delivery of time-critical messages can prevent control centers from properly controlling the outputs of generators to match load demands. We design a communication subsystem with enhanced self-healing capability under the presence of jamming through intelligent local controller switching. Our framework allows sufficient readings from smart meters to be continuously collected by various local controllers to estimate the states of a power grid under various attack scenarios. Additionally, we provide guidelines on optimal placement of local controllers to ensure effective switching of smart meters under jamming. Securing Spectrum Usage in Future Radio Systems. The openness of the lower-layer protocol stacks renders cognitive radios (CR) an appealing solution to dynamic spectrum access (DSA). Its open nature will increase the flexibility of spectrum utilization and promote spectrally-efficient communication. Nevertheless, due to the exposure of the protocol stacks to the public, CR platforms can become a tempting target for adversaries or irresponsible secondary users. 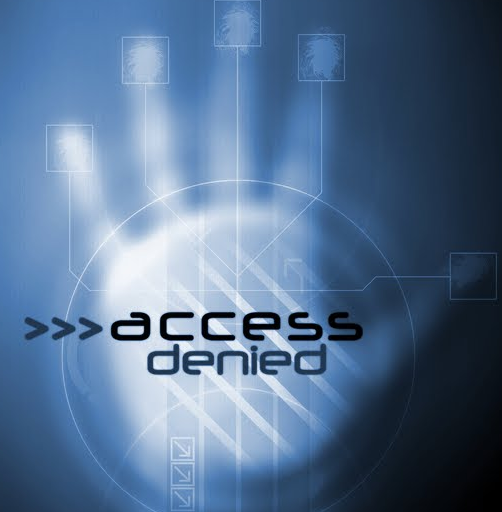 A misuse of a CR can significantly compromise the benefits of DSA and threaten the privileges of incumbent users. Therefore, having the ability to enforce spectrum etiquettes is critical in future radio systems. We are designing efficient mechanisms, and developing effective frameworks that can both detect anomalous activities in spectrum usage as well as localize adversaries without requiring overhead on wireless devices. SEMOIS: Secure Mobile Information Sharing System. This project aims to build a secure mobile information sharing system (SEMOIS) that supports secure and privacy-preserving real-time information sharing. SEMOIS will have the ability to store secure data items with flexible access control at insecure storage nodes and enables users to send context-based messages with late-binding features. Specifically, SEMOIS plans to achieve data confidentiality and privacy-preserving through data encryption and encrypted search, and enable intentional name based message dissemination without apriori knowledge of recipients. Additionally, a set of smart learning methods will be developed to extract short-term and long-term geo-social patterns from multimodal sensing data collected by mobile devices for social networking purposes, e.g., geo-social patterns are used to derive hidden social communities. MILAN: Multi-Modal Passive Intrusion Learning in Pervasive Wireless Environments. 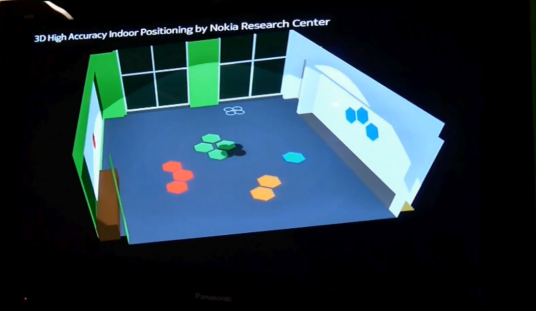 This project seeks to develop effective and scalable multi-modal passive intrusion learning techniques that have the capability to detect and track device-free moving objects in pervasive wireless environments through adaptive learning. In contrast to traditional techniques, which require pre-deployment of specialized hardware, and thus not easily deployed for unscheduled tasks and may not be scalable, this project leads to new insights into intrusion learning by mining on wireless environmental data, as well as leading to new approaches to device-free wireless localization, which can be used to assist a broad array of applications, e.g., identification of people trapped in a fire building during emergency evacuation. Smartphone Applications. Mobile apps, especially those location based ones, are changing the way people work and live every day, and many such apps have to deal with an indoor environment, e.g., shopping malls and airports. 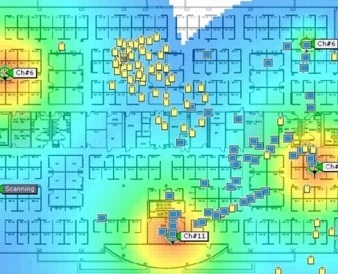 In many such environments, the availability of indoor location information can be used to help individuals (directions, just-in-time coupons/promotions) and organizations (passenger flow distribution in airports, customer shopping/movements' pattern in malls). All these apps would require a practical, robust and efficient smartphone indoor localization solution. We are studying a practical and energy efficient indoor localization solution leveraging multiple sensing modalities enabled by smartphones. Anti-jamming. The increasing pervasiveness of wireless technologies, combined with the limited number of unlicensed bands, will continue to make the radio environment crowded, leading to unintentional radio interference across devices with different communication technologies that share the same spectrum. Meanwhile, the emerging of software defined radios has enabled adversaries to build intentional jammers to disrupt network communication with little effort. To ensure the successful deployment of pervasive wireless networks, we take the view point that it is crucial to localize jammers, since the locations of jammers allow a better physical arrangement of wireless devices that cause unintentional radio interference, and enable a wide range of defense strategies for combating malicious jamming attackers.